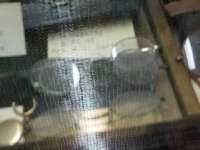 Description Three pair of eyeglasses used by I.N. Cassity. Gift of Mrs. Curtis.